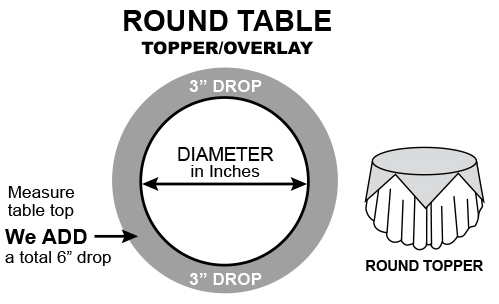 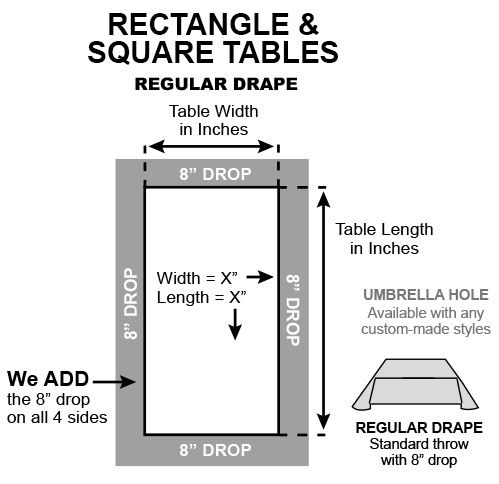 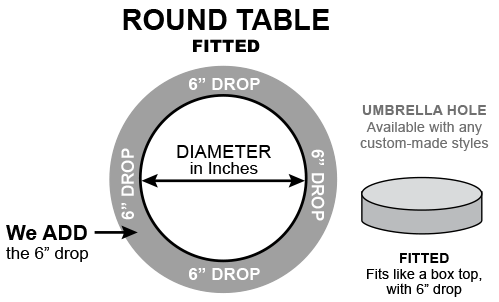 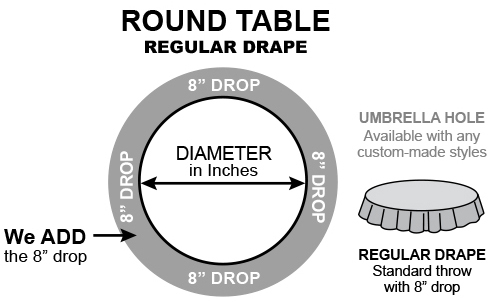 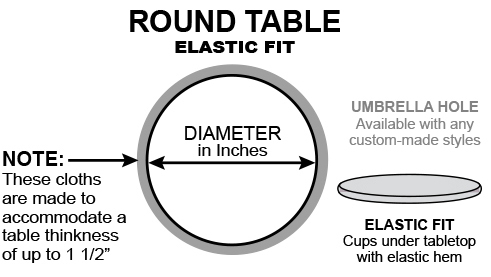 We add a standard drop of 8" to all Regular Drape table covers. 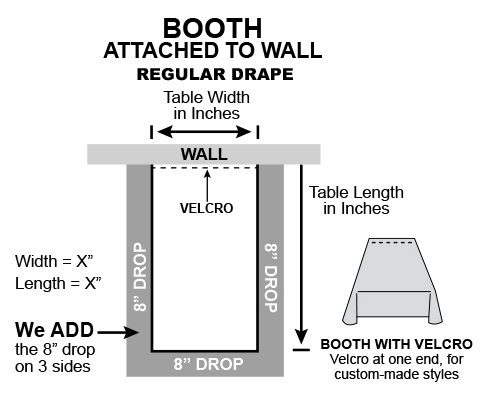 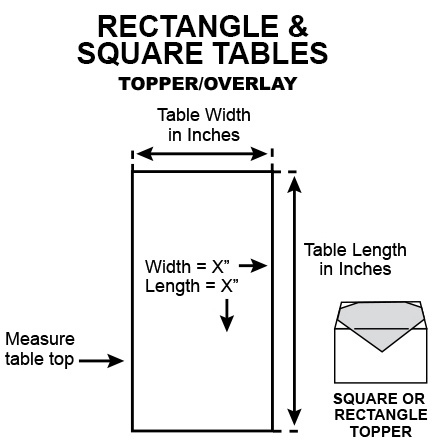 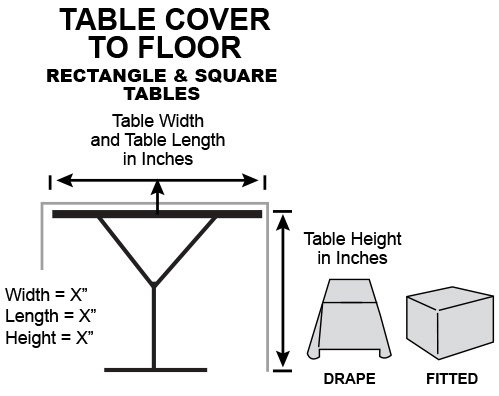 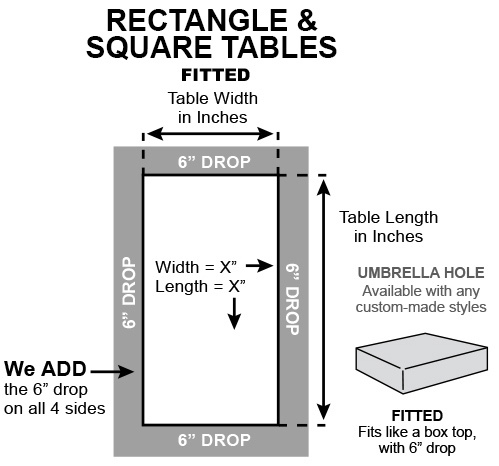 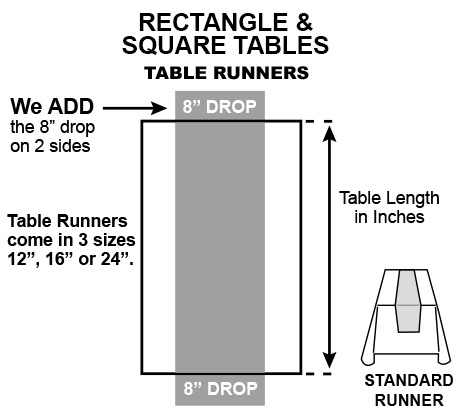 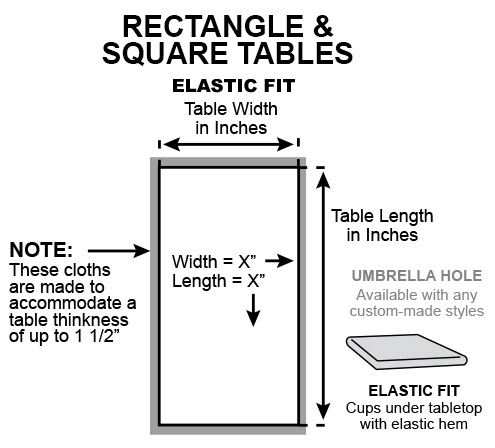 "Drape To the Floor" table covers will made the same height as the table height. 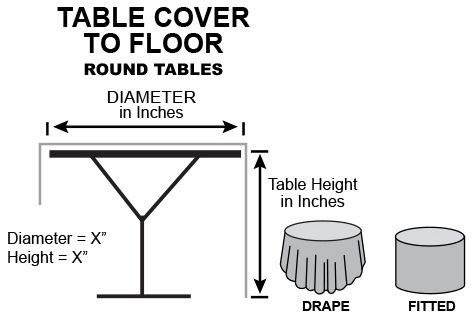 Value Vinyl table covers are NOT available in Fitted-to-Floor or Fitted finishes.